With a vast number of WordPress hosting providers, beginners can get the extra help they need to build their blogs. And these people are discovering that WordPress is capable of so much when it comes to the visual design. There are already tons of free beautiful themes to choose from. What's more, there are many WordPress site builders that either are given out by WordPress hosting providers or can be found on the official WordPress site. Here's a list of 12 inspiring and well-designed WordPress blogs to help you make your design choices. At first glance, Mashable looks like a very content heavy blog that's hard to navigate. But when you continue looking at it, it's incredibly well designed. Mashable uses three columns to categorize their content. The newest posts are on the left, rising posts are on the middle and the hottest posts are on the right. The hottest posts are of course the biggest posts in the layout. A good amount of space is used between each post and the navigation is very clean and simple design. Public service websites are known for having a reputation for ugly design. But Greenwich Library's site is outstandingly well done. The navigation icons and menu are very modern. The layout is very clean and well organized. The tutorial is taken from the pages of many popular app products. The focus of this site is largely on the user experience. Every part of the site feels intuitive and easy to use. Travel Portland is a tourism-based site designed to get people to visit the beautiful state. The big theme for this site is fun and interactivity. The site is visually driven and asks the users to click around the various photos to see what's going on in Portland and discover all the activities they can partake in. More importantly, it's fun. You can browse listings of seasonal events, top Instagram pictures and blog posts which are all accompanies by beautiful photos. 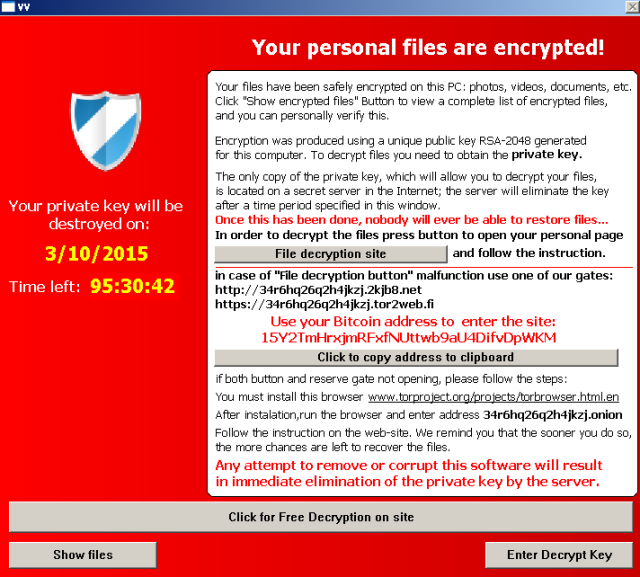 The site does an amazing job in convincing the user to come visit. Jess Mark's Photography site uses a whimsical animated header done in the sketch style. It features a unique fun font, large navigation menus and neutral palettes to put the focus on the content and photos. Users are invited to browse photos on weddings, photo boots and portraits with big bold icons following the introduction. Sometimes a simple and well-executed blog style site is all you need. Yoke is a creative studio that runs a fun blog. The site uses a cool sketch animation as their hero image. From there, you are presented with a very minimalist three column post blog with great leading images. What really surprises you is the load out graphics when you go into a post. The blog succeeds with this minimalist approach due to small elements that make it stand out and engage the user. Tinkering Monkey is a signage company that uses WordPress and a blog style design format to market their products. The first thing that you notice when you land on the site is the animated image that shows how they make the signs. This is followed by big and bold photos of completed projects. This simple layout shows that sometimes the design can be lead by the quality of your images. Fubiz is a site that covers photography, art and design. As a result, their blog is very visually driven. They break down their blog into multiple sections. Each section is designed with a different photo in the background with accompanying posts. What Fubiz does well is using multiple layouts on one page. They arrange their photos and posts in a way that allows you to really appreciate them and makes you want to click on them. Tesco is a lifestyle blog that uses a four column card based design as a layout. The blog is very simple and features high-quality photography to drive clicks. The posts are organized by different categories which you can click on the top of the page. This creates a very organized and simple way to browse the blog. The Innocent Drinks blog uses a simple design and layout which makes the site very accessible and easy to use. The design is simple at first glance but then you start to notice all the little things that give this blog a big personality. Everything from the icons, brand images, typography, borders and graphical accents prove that the small things make a big difference in web design. 500 PIX Iso is a photography blog that uses a fairly simple layout that anyone can model their site after. It features a hero image for the main post and transitions into a one column, one row blog post format. It then transitions into a four column card based design followed by widgets being placed at the footer. This blog is a great example of how to use multiple layouts on a site successfully. This beautiful portfolio site combines beautiful images with a simple design to wow the visitors. The images are cut on a fish eye shape (without the distortion) which is a very unique way of presenting the visuals. The graphical cues on mouse over are very user friendly as there is a pointing arrow icon that pops up. The website makes a great use of space and typography. Everything feels comfortable and relaxed to the eyes despite the site being visually driven. Bark Post is a pet friendly blog that makes a great use of visual tags to categorize their content. What really impresses you is their navigation menu. They created a visual based navigation menu which displays a photo of the posts followed by the title on a small horizontal tile set layout. The photos are cute, fun and clickable which only makes the navigation menu more attractive to use. This is just a small collection of inspiring WordPress blogs. There are many more examples to learn from. Make sure you get out there and see how other blogs are being designed to inspire your own vision. Plugins could be of immense help for websites on WordPress and handy plugins could prove to be helpful in enhancing its capabilities with great functionality without much strain though one would wonder which of these plugins would be useful for their site. It is essential to understand its need for specific site and add them depending on their requirements with the WordPress installation, most of which tend to become very useful on any WP site. Viewers could check on these plugins and opt for the ones most essential in running their website according to their requirements. At times, some of the functions in WordPress are not recommended for usage and the Log Deprecated Notices plugin provides a list of functions in the plugin or theme with suitable alternatives for usage. Theme Check is one of the essential and most important plugins for WordPress developers which measures against the prevailing WordPress coding standards as well as its practices. While creating the theme, it helps in verifying the code making sure that it meets the review standard of the WordPress themes directory and creates a fresh menu item under the setting of Appearance. Its capabilities are that one can run over 8000 tests on any installed available themes resulting in a list of recommendations, errors and information messages. If the user has the inclination of submitting the theme to WordPress.org repository, the need to eliminate the errors is essential since Theme Check which is active during submission does not proceed any further, even if a single error is detected. Besides this, Theme Check’s recommendations can also help in providing ideas for the theme with the maximum advantage on its functionality such as post formats and thumbnails and by eliminating all the recommendation the user can benefit with the latest features to turn off the same. 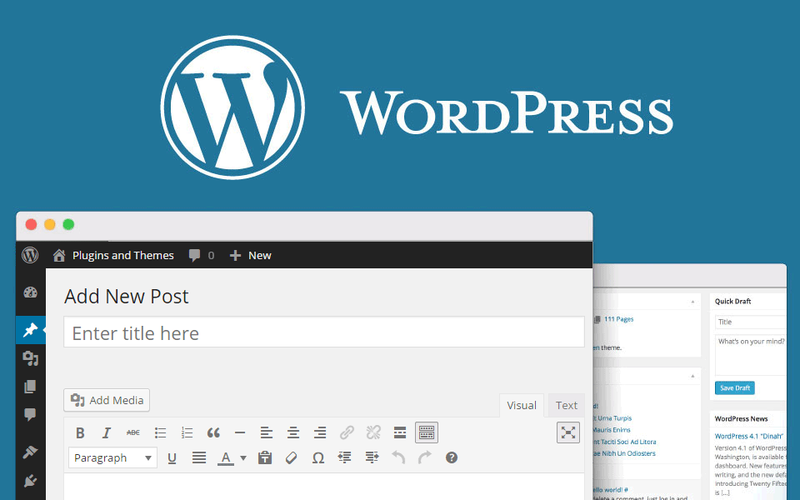 If showcasing themes to clients or for colleague’s feedback and testing, the Theme Demo Bar enables a single WordPress installation, presenting more than one theme where these plugins are common on theme market places and theme shops. These are much easier than setting different environment for various themes though it does not have the flexibility of different content for different theme. 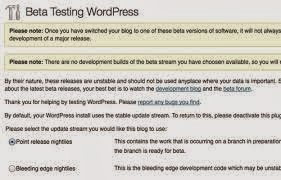 Updating to WordPress Beta, Nightly version or Release Candidate (RC) with Beta Tester enables to test the compatibility of the theme or plugins, with the latest upcoming versions while Regenerate Thumbnails can be useful in setting a new size of image thumbnail which enable the user to regenerate the thumbnail images in the library according to the size of one’s choice with a single click though the process may take its time depending on the number of images especially from a live site. Debogger helps in dealing with debug messages, warnings and notices in WP, helping in showing the debug notices at the bottom of the page with the query counts, page load time and peak memory usage making it easy for performance tuning. It also checks the markup for W3C validity and for its function, one need to run on the server which is accessible by the W3C validation service. Another alternative is the Debug Bar that adds a Debug menu to the admin bar for easy access to cache, queries as well as other useful information. The two useful plugins which are alongside each other are the Debug Bar and Debug Bar Extender where the former give information about memory, request etc. while the later gives a better insight on what is prevailing under the hood, inclusive of cache hits or misses, clear profiler with back trace of all functions as well as SQL queries. One can switch between registered users without the need of repeating the usernames and passwords with the User Switching which, once activated will give a new menu named Switch off in the admin bar and if a plugin to create new role with a set of new capabilities is needed, this plugin would be of great help. Users often working with plugins and themes and probably testing them in various versions of WP of different set of plugins as well as setup configurations come across new versions available which can cause interruption in their working system. The Disable Core Updates plugin thus helps in turning them off. Back up of the content is very vital and offsite backups are essential when one would not have the time to download a backup and reload the same to a cloud storage service. WordPress Backup to Dropbox helps in saving the same to the dropbox account instead of downloading a backup using the OAuth, keeping the details safe with its simple and sleek UI, customizable backup settings and cross browser compatibility. This plugin provides various WP security features and techniques which are essential for securing a WP site combining them into an easy to use plugin by working in obscuring sensitive information, increasing security of passwords, blocking unauthorized users and detecting attempts in finding vulnerabilities. Moreover it also makes regular backups of the site enabling the user to be online quickly should they face any kind of an attack Mono-live is a great eye opener on some fantastic latest technology information which provides immense insight to the user.